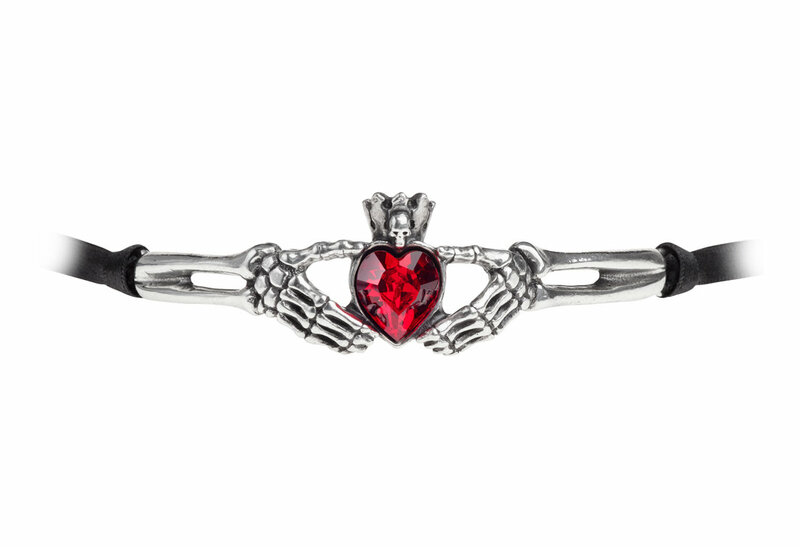 Representing love, friendship and loyalty from the underworld this symbol comes from the ancient Irish tradition. 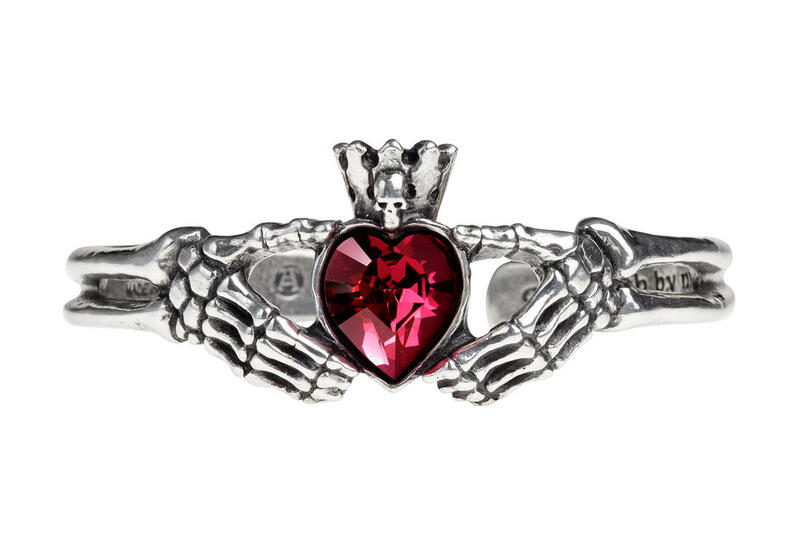 The original was first produced in the west coast village of Claddagh in the 17th century. It measures approximately 1.10 inches high, 3.90 inches wide and 0.39 inches deep. 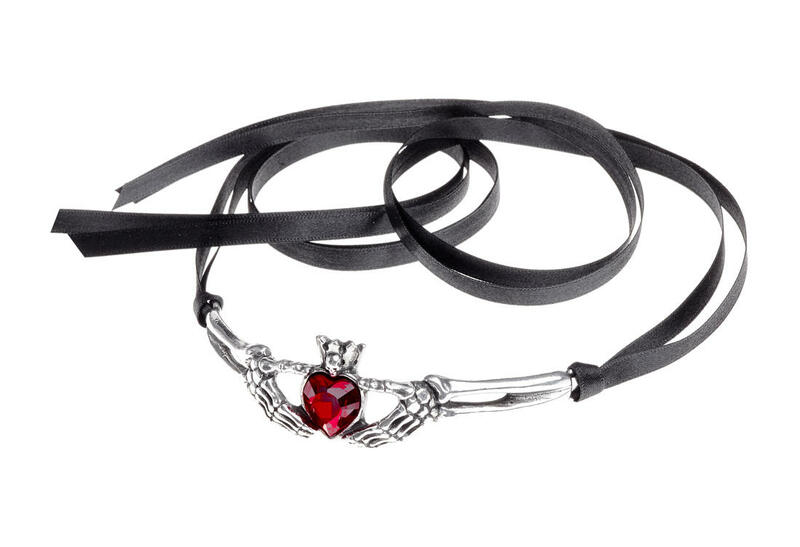 The black satin ribbons is 7mm wide with an adjustable length. 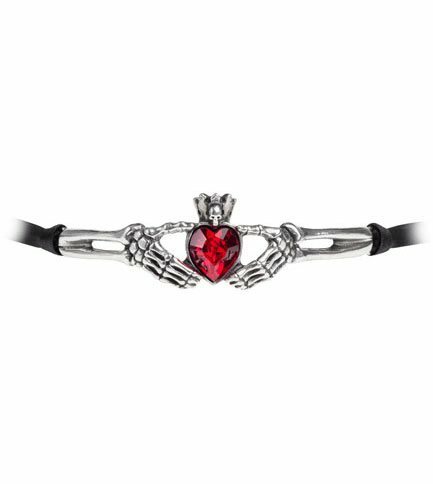 It's made of fine English pewter with red Swarovski crystal. By Gothic Alchemy.